Each Derofe ballpoint pen is fitted with an exceptional Swiss made ballpoint refill which writes over 9,000 meters (by comparison, a standard refill will write under 1,000 metres). Given the superior life of this refill, each Derofe Ballpoint pen will stand the test of time, and reflect the quality of your brand. 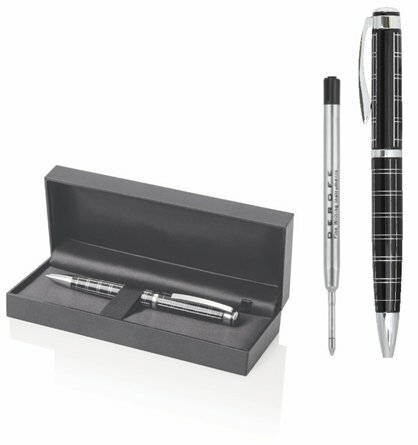 Each pen is fitted with a medium, black ballpoint refill and an additional medium blue refill is also included in the elegant presentation box. 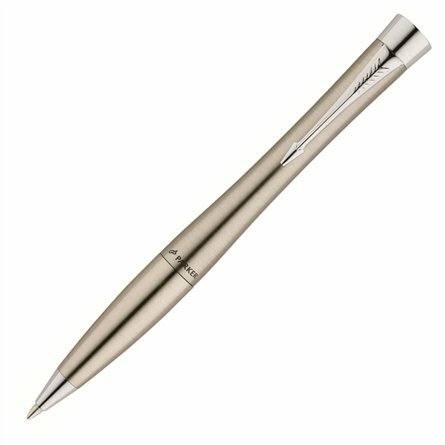 Derofe pens also include engraving in one position. 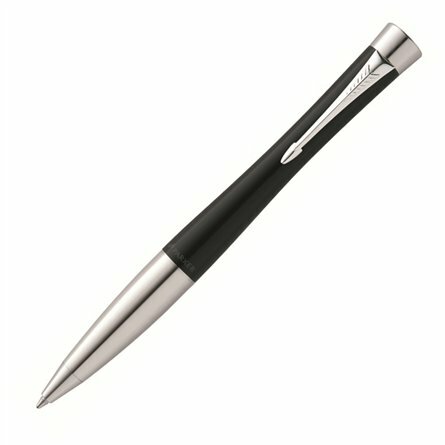 Each Derofe roller ball pen is fitted with the superior German made Hauser “OPEN” black ink refill, with an additional black refill, included in the elegant presentation box. The Hauser refills are renowned for their incredibly smooth delivery system that will not scratch the paper or dry out, even when the cap is left off. Derofe pens also include engraving in one position.